We all know situations in which we need to perform at our best, be it a very important exam or a crucial presentation in front of the boss. There is absolutely no room for mistakes. Wouldn’t it be great if there was a supplement we could take to increase the power and focus of our brains like in the movie ‘Limitless’? In fact, there are several products on the market that promise similar effects. But which one should you take? And is it safe to use them? We want to answer these questions and present you with a new alternative – the focus drinks eNgage & diseNgage. Everyone that has tried an energy drink in their life knows that it has a discernible effect on overall energy and focus. It’s no surprise therefore that many students turn to them when it comes to studying for their exams. It’s actually true, the high levels of sugars and caffeine make them a great solution if you need tons of energy for a short period of time. There is a problem with energy drinks though: The energy they supply is unsustainable. The extreme energy-high is followed by an extreme energy-low, the infamous sugar crash. Here is the scientific explanation behind that: Simple sugars are digested very quickly and enter the blood rapidly. The body deals with the high amount of sugar in our bloodstream by releasing insulin to lower the levels as quickly as possible. After the insulin takes all that glucose out of the blood, you are left with low blood sugar, which makes you feel exhausted & tired. While energy drinks could be good for activities that require energy over a short period of time, you should not use them if you want to stay sustainably focused over several hours. Imagine a pill that gives you a competitive advantage by making you smarter and more creative. This might sound a bit like something out of the movie Matrix, but in fact there are products that promise these effects. Smart drugs or nootropics were originally developed to cure brain-related disorders. Recent studies found certain nootropics to have a positive effect on cognition and memory. Today many students are already taking smart drugs to boost their performance. A survey run by the University of Oxford even found that 26% of their students have already tried them. Modafinil, praised for its remarkable results in enhancing performance and improving cognition, is one of the more promising smart drugs. Studies from Oxford University and Harvard Medical School concluded that Modafinil really does improve thinking skills, particularly in long complex tasks. Modafinil is also considered one of the first smart drugs that is actually safe in the short term. Trying Modafinil sounds very tempting, but there are also some major downsides to it. 1. There is no research on the long-term effects of using Modafinil. Therefore, it remains unclear if Modafinil is safe to use over longer periods. There have already been many complaints about its side effects, which include nausea, anxiety attacks, severe headaches and a lack of appetite. 2. It is illegal to sell Modafinil to someone who doesn’t have a prescription. The only way to get it is through some questionable websites. Moreover, you can never be sure if your product will actually arrive or if it even is real Modafinil. 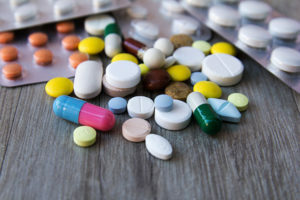 While some smart drugs actually work they should be taken with caution, mainly because of their many side-effects and lack of studies about long-term effects. So what other solutions are there if you want a product that is safe to use and provides you with long-lasting effects? We have the answer: eNgage & diseNgage! We have created effective functional drinks made only from natural ingredients that we refer to as focus drinks. eNgage and diseNgage are sparkling drinks made from different natural juices & natural extracts developed to provide the brain with an immediate and sustainable focus boost. Both drinks are naturally low in calories and sugar to prevent the familiar crash in energy and focus. They feature special focus-enhancing ingredients such as ginkgo biloba, maca root and sugarcane extract. eNgage combines these ingredients with natural juices, green coffee bean and acai berries to give the brain immediate power. The caffeine levels in eNgage are optimized to quickly increase energy without compromising on cognitive functions. This makes eNgage the perfect drink for when you need a quick and sustainable boost of energy and focus. diseNgage uses the special ingredient Panax Ginseng, which is well-known for its stress lowering ability. It boosts brain functions and helps the body cope with negative stress. diseNgage not only surprises by its great effects but also by its revolutionary taste. It is the perfect drink for when you feel anxious or stressed before an important presentation, exam or game etc. Moreover, the natural formulas used in eNgage and diseNgage are in compliance with the EU & US Food regulations, so you do not need to fear any short- or long-term negative side-effects. eNgage & diseNgage are now available for purchase in our shop.